Manchester City were rocked by an injury to star man Kevin De Bruyne this week, sparking rumours that manager Pep Guardiola might try to source a replacement. The Premier League transfer window closed on the eve of the new season but clubs can still add free agents. Former Juventus midfielder Claudio Marchisio had been mooted as a potential City target, per Goal.com, but Guardiola poured cold water on reports when he responded to rumours. “No,” Goal quoted him as saying ahead of Sunday’s clash with Huddersfield. “First a big comment for his career – he made an amazing career at Juventus and with the national team. 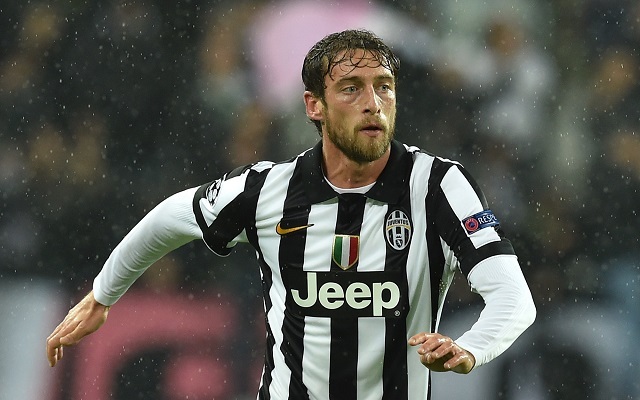 Marchisio featured in just 15 Serie A games during his final season for Juve and provided one assist. In contrast, De Bruyne played 37 Premier League matches for City, producing 16 assists and adding eight goals of his own. Without him on Sunday, Guardiola could stick with Ilkay Gundogan although Spaniard David Silva is another midfield option for Guardiola. City made a good start to their Premier League campaign last weekend by winning 2-0 at Arsenal. De Bruyne came off the bench to play 31 minutes in that game, but was later ruled out for up to three months, according to ESPN.